The poppies have created a notable effect. The importance of the poppy and its connection to all Veterans will be highlighted this year by the Cathedral’s display in honour of the 100th Anniversary of the end of World War I. The idea came from a church in England. Our People’s Warden Pippa FitzGerald-Finch contacted the church to find out how it could be done. See Global’s new item on the origin of this project. See the CBC’s coverage here. 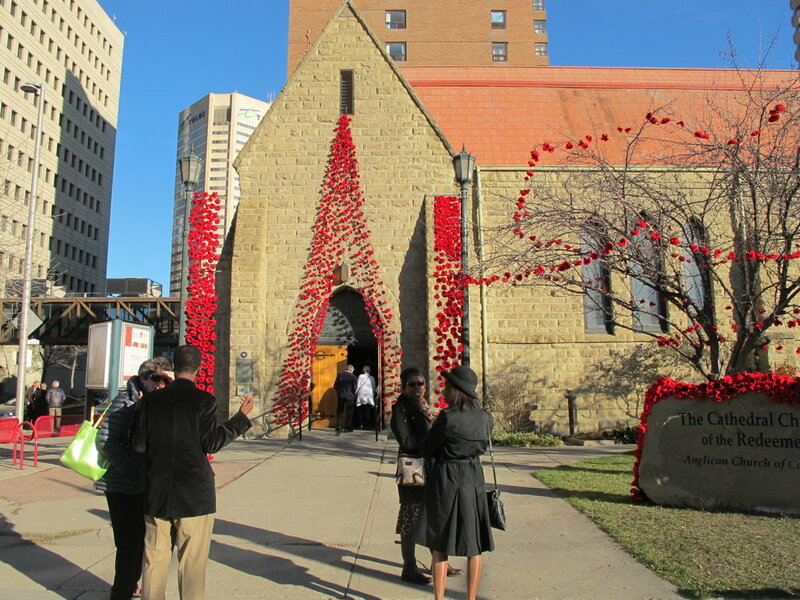 More that 80 people knitted or crocheted poppies for this project, including some in Far parts of Canada, and the mother of one of our choristers, who lives in New Zealand. The purpose it to honour those who died for us in all the wars since 1918.